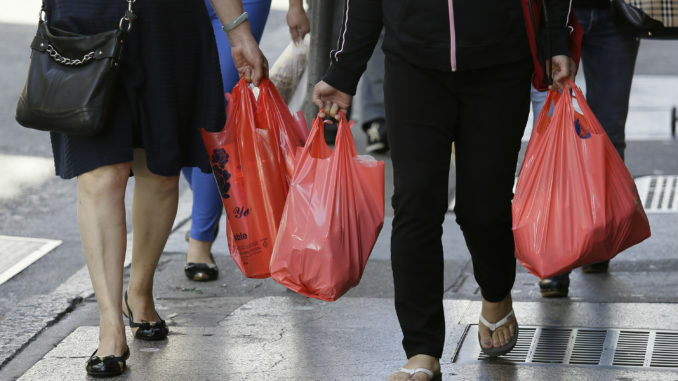 Despite the growing leftist movement to ban the humble plastic shopping bag, a major new study has proved that in many ways plastic bag bans actually do more harm than good for the environment. Making matters worse, organic cotton reusable tote bags — the fashionable leftist choice to replace the humble plastic bag — are actually the least environmentally friendly bags on the market. According to the study, one organic cotton bag needs to be re-used a staggering 20,000 times to match the environmental impact of a common plastic shopping bag. 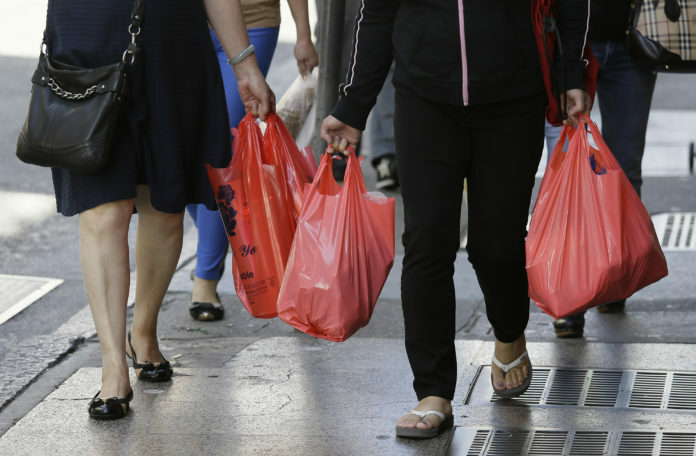 Support for plastic bag bans is growing in popularity, such as in New York, where lawmakers recently agreed to ban plastic shopping bags, or low-density polyethylene (LDPE) bags. But studies have shown that alternatives to LDPE bags that are often pushed as “greener” options may actually have worse effects on the environment. Quartz cites one such 2018 study from Denmark’s ministry of environment and food. WesternJournal reports: The group studied the environmental impacts of different types of bags over the bags’ life cycles. It may come as a surprise to some that the study revealed that LDPE bags had the lowest environmental impact. Quartz notes that this study did not account for marine litter, where many point to plastic waste as a major issue. The study looked at how the manufacturing of different types of bags affects areas such as ozone depletion, air pollution and water use. According to the study, those plastic bags that the left is so preoccupied with may be the least harmful of the most commonly pushed bag options. The Denmark study compared the cumulative environmental impact of different bags to those of LDPE ones, assuming that the LDPE bags are reused once before being incinerated. The report states that incineration is the best way to dispose of them. According to the study, paper bags and woven polypropylene bags have to be reused around 45 times to match the environmental performance of one typical grocery bag. Notably, the study found that a conventional cotton bag has to be reused 7,100 times to make up for the difference in resources used to manufacture it. The report assumes that the cotton from the bags isn’t recycled after the bag’s life cycle, because there are few options for wide-scale textile recycling. According to the study, the option that takes up the most resources are organic cotton bags, which have to be reused a whopping 20,000 times just to match the environmental performance of one LDPE bag. The study arrived at this figure on the assumption that organic cotton has a 30% lower average production rate than conventional cotton, so organic cotton is assumed to take 30% more resources to yield the same amount. Of course, the study didn’t take into account the fact that materials such as paper and cotton biodegrade, while plastics may take hundreds or thousands of years to decompose, according to The New York Times. But the Denmark assessment, which is in line with past studies, suggests that banning plastic bags may not be the most well thought-out approach to combating environmental concerns.